Altai State University has risen by several positions in the prestigious international ranking SCImago 2018. 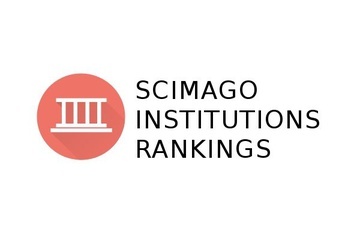 Scimago Laboratory in collaboration with Elsevier has published another edition of international ranking for academic institutions (SCImago Institutions Ranking 2018). Altai State University has been included in the ranking for the 2nd time, and, what is more, it has improved its positions. A total of 3,230 universities of the world are represented in the ranking, including 84 leading Russian universities. Altai State University takes 602 place (+5 positions since 2017) in the world list and 45 place among the universities of Russia. Research. This group comprises 8 indicators, the cumulative percentage of which equals 50%. Scopus databases serves as an information source for this group. Innovation. The group includes 2 indicators and covers 30%. PATSTAT database is a source of information. Societal impact. The group includes 2 web indicators, the composite share of which is 20%. The information is taken from Google and Ahrefs. SCImago is a ranking of scientific organizations. It includes both educational institutions and research centers and is considered one of the most objective rankings, since experts evaluate universities and scientific organizations not according to their applications, but according to information from international databases. The organization automatically falls into the ranking, if it has at least 100 articles published in the Scopus database within the last year.